Please see my review on the same front sight. I won't go into detail here. The sight is great for backup. 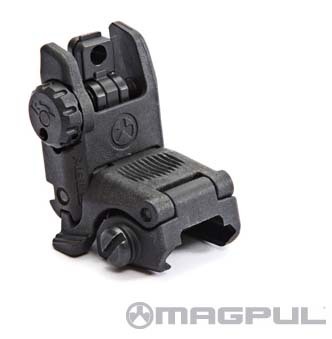 I give 4 stars to the rear sight only because it is difficult to flip the little plastic peep sight and O2 sight back and forth. Not a big deal....but note the function while handling before buying. You may operate it better than me. I use this site with a P223 scope and it slips just under it. Does not effect eye relief. Great sight for plinking if this is all your using.